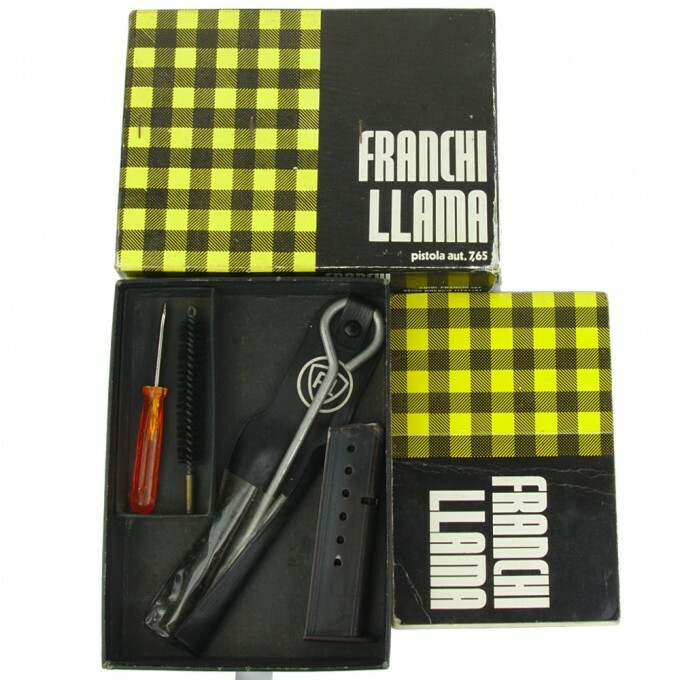 Franchi Llama model Automatica, 7.65 browning caliber. 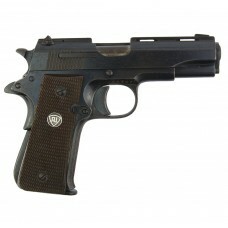 Franchi Llama Automatica model, 7.65 browning caliber. 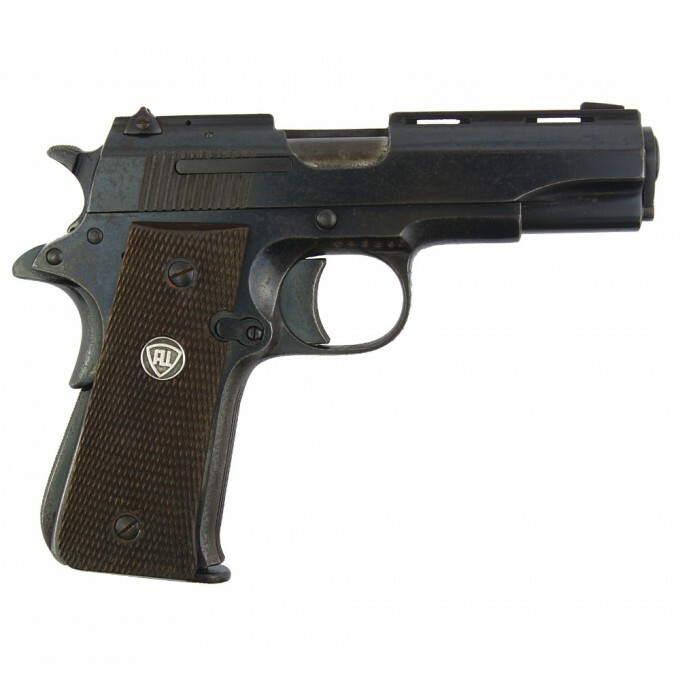 Self-loading pistol, blow-back operation, miniature copy of Colt 1911 in 7.65 mm/.32 ACP with grip safety and loaded chamber indicator, made in Spain by Llama-Gabilondo y Cia SA in collaboration with the Italian Luigi Franchi company. 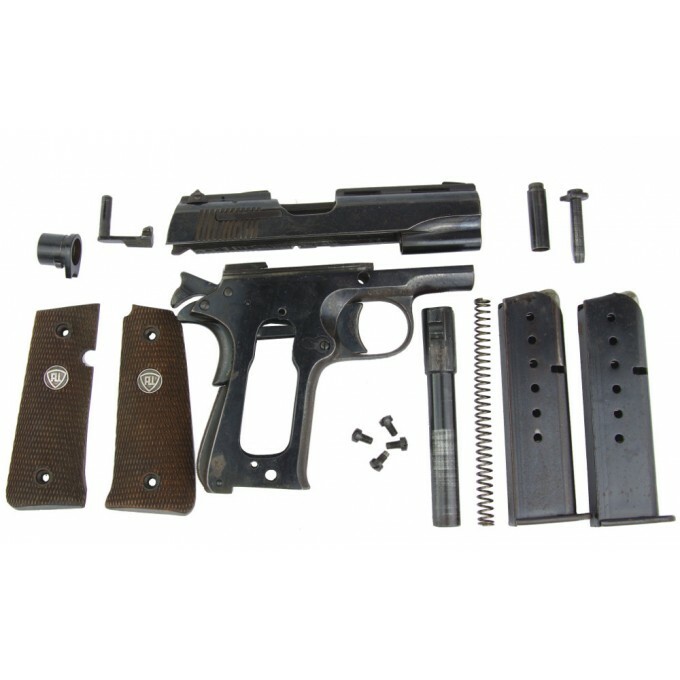 This handgun has had a single owner and comes with its original box, a cleaning rod and its instruction manual. 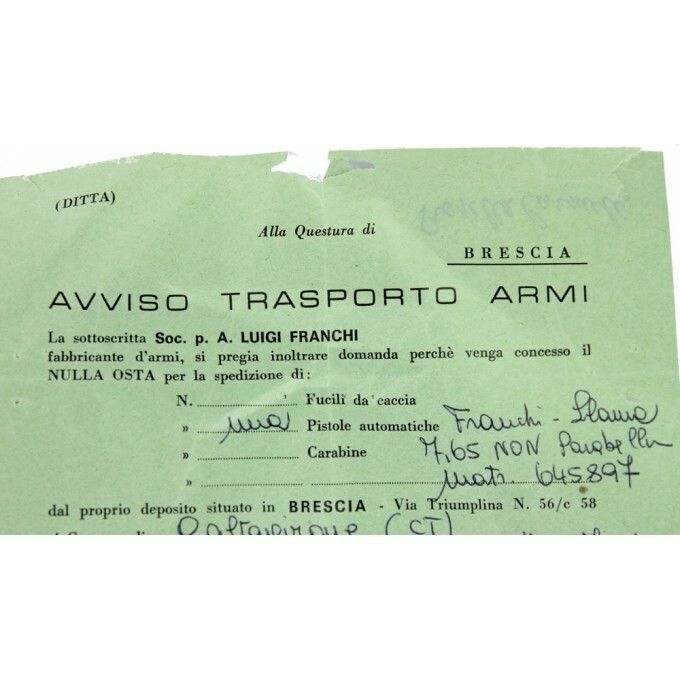 We have the original firearms shipping license from Brescia to Caltagirone (Avviso di Trasporto) dated 25 April 1975. 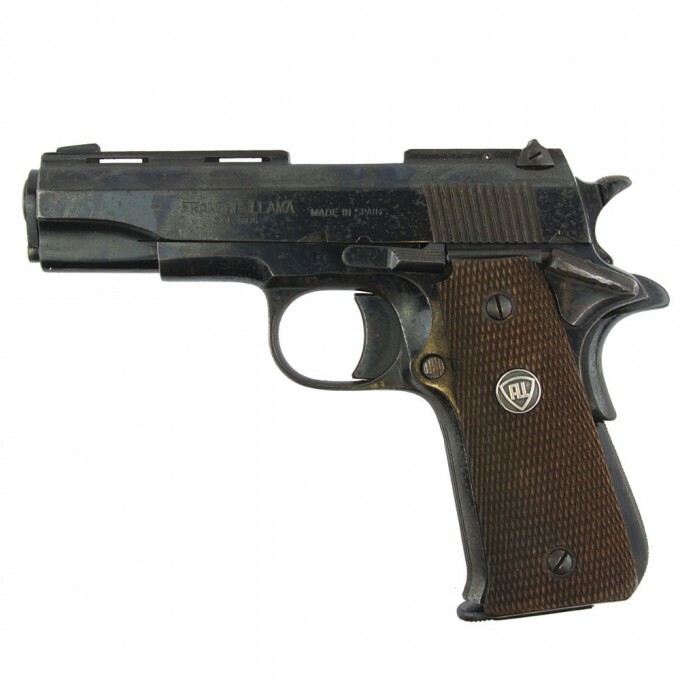 The pistol comes with its original box, a cleaning rod and its instruction manual.